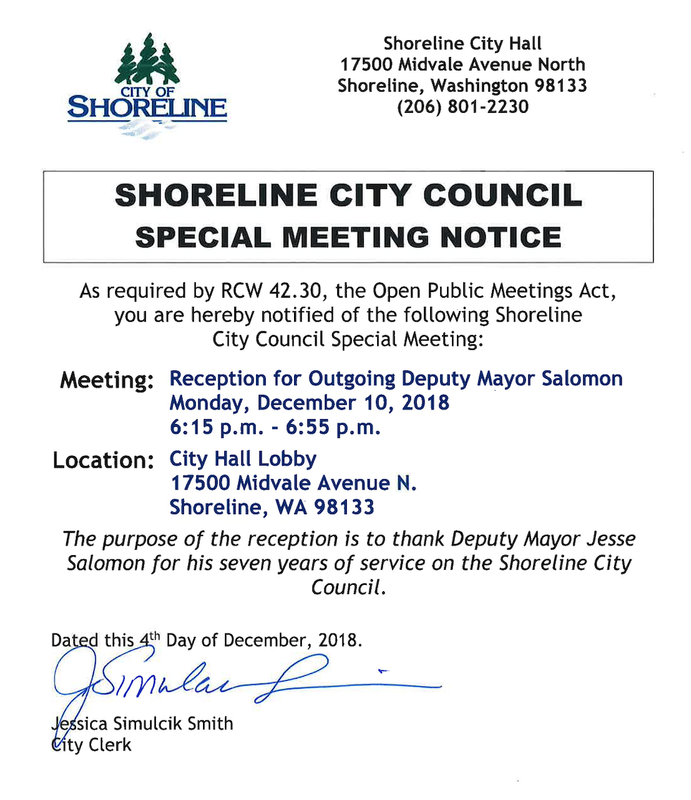 The reception for outgoing Deputy Mayor Salomon will be held on Monday, December 10, 2018 in the City Hall lobby, 17500 Midvale Ave N.
Because the city council will be present, it falls under the Open Public Meeting Act, and the public is to be notified. The public is invited to the reception. The regular City Council meeting will follow the reception.